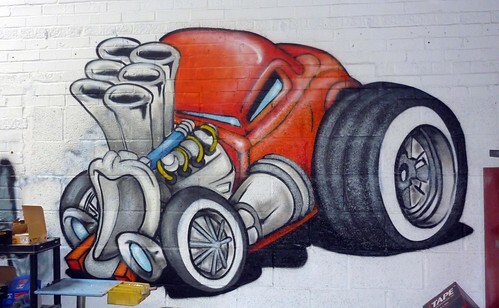 Retroclassica’s walls had a little updating in September 2011, a Hotrod in Orange being the order of the day. This entry was posted in Artwork and tagged car body respray, Car resprays, classica, respray my car, retro, Retro Classica, Retroclassica, Spraying commercial vehicles. Bookmark the permalink.